Locally made cheeses* by Shtayburne Farm, Lively Run, Adirondack Cheese Spreads, and Yancey’s Fancy Cheeses. Stever Hill is an associate member of the Finger Lakes Cheese Alliance. 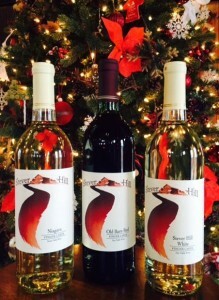 *Enjoy in the tasting room, on the deck, or take home for future tasting adventures!